Malvern Spa brought to life one hundred years of spa heritage on the outskirts of this famous spa town. 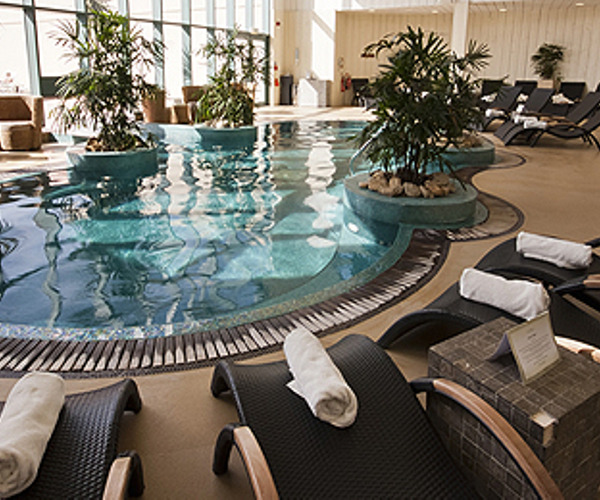 Housing hotel, health club and spa it is the ultimate in health, beauty, relaxation and indulgence. It’s all about the results and pleasure experienced with excellent facilities and highly trained staff. 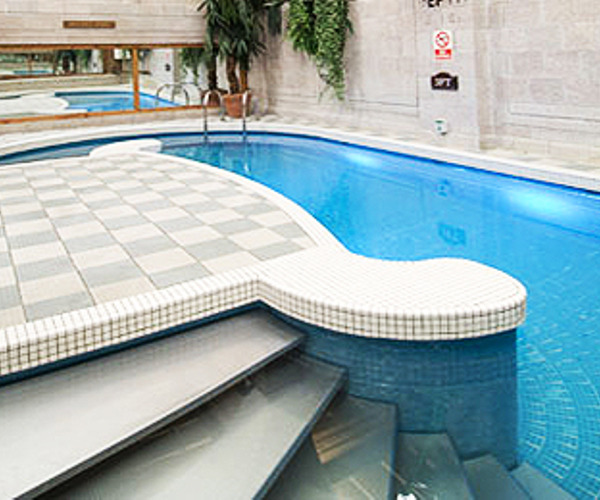 Malvern Spa, is the only spa in the UK with a 20m 35°C indoor-outdoor hydrotherapy pool; which is even filled with the world-famous Malvern Spring water sourced 200m below ground. Products used: Elemis, ESPA, CACI, Jessica & Shellac nails. Our treatments are sensuous, relaxing yet intensive, making use of energy points, inducing a deeper level of inner peace to rebalance and revive. Awards and ratings: 5 Bubbles from the Good Spa Guide, Zest magazine award winner, AA 4* grading and their Chef was awarded one rosette. The malvern offers a choice of fine dining and traditional brasserie style cuisine providing an ideal venue for an intimate dinner, a private party or a quiet business lunch. We also have a lounge area for casual dining and a well-stocked bar! The Malvern Restaurant welcomes diners every evening from 6.30pm. The restaurant serves fabulous fine dining alongside traditional brasserie style cuisine, and provides the perfect venue for an intimate dinner, a corporate lunch or a private party. Our award-winning Chef, Steve Rimmer, prepares seasonal menus filled with the finest locally sourced and organic produce to create beautiful dishes bursting with taste and presented with flair. All rooms are air-conditioned for comfort, with all the modern amenities you would expect including; flat screen TV with remote control, iron and ironing board, powerful hair driers and a hospitality tray including tea, coffee, hot chocolate .. and of course, Malvern water. Full length black-out curtains, coupled with hand-crafted Hypnos beds with deep sprung pockets & topped with quality Egyptian cotton will encourage a relaxed night’s sleep.